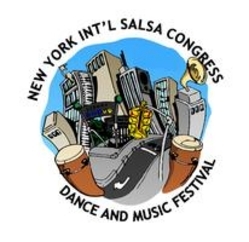 It's Labor Day weekend, which to me means one thing only: The New York International Salsa Congress! While most of you will be eating burgers and dogs with your loved ones, my Love Cub and I will be dancing until stupid o'clock in the morning each night this weekend. I'll be bringing my bootleg, baby camera with me to get a few shots (and hopefully videos) with some salsa superstars. I have to work this weekend (boo), but am not letting that stop me from attending my favorite dance event of the year. I am, however, going to miss all the performances. This week's Friday Finds features a small collection of the awesome dancers I'm not going to be able to watch live. Happy Labor Day! I can't make it this year. Can't afford it.